The Solomon R. Guggenheim Museum has done away with its pay-what-you-wish Fridays, and replaced it with Free Fridays. Every Friday, you can roam the museum for free from 5:45 to 7:45 p.m. But the Friday freebie is only in place as long as the museum is showcasing its current blockbuster, "The Third Mind: American Artists Contemplate Asia 1860-1989," a stellar show that illustrates how Asian ideas were transmitted to America and incorporated into art here. When that exhibition closes April 19, the Guggenheim will switch back to the old pay-what-you-wish on Friday evenings policy. But that's not where it ends. Starting May 15, the Guggenheim will move its pay-what-you-wish night to Saturdays, a museum spokesperson told NewYorkology. Fridays will go back to full price. 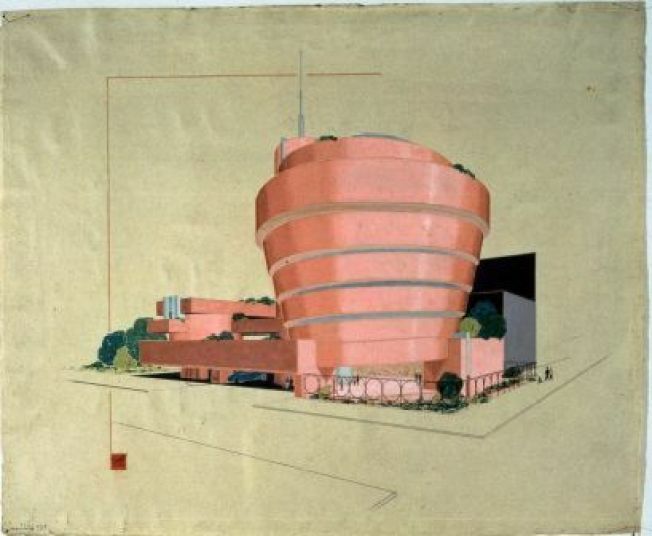 Starting May 15, the Guggenheim will start pay-what-you-wish Saturday hours from 5:45 p.m. to 7:45 p.m.
May 15 also marks the start of the Guggenheim's next big blockbuster show: Frank Lloyd Wright: From Within Outward. For a list of other free museum hours see the day-by-day list NewYorkology's created for spring, which also includes changes at the Brooklyn Children's Museum and the New Museum.